Year Of The Beast KICKOFF show! 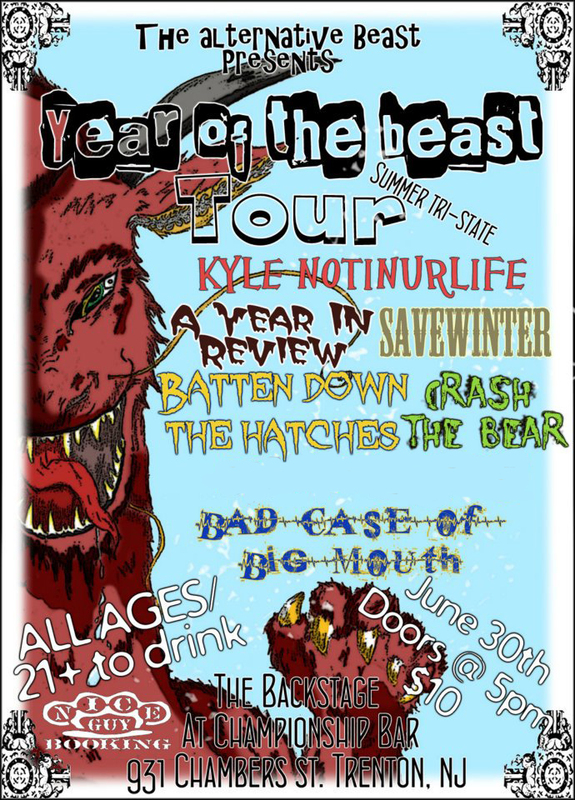 JUNE 30TH 2012 The Beast takes the Championship Bar in Trenton, NJ. All playing the same stage, need tickets and can’t buy straight from the bands!? Come on down to the show next Saturday and support the awesomeness that is… The LOCAL NJ SCENE! !